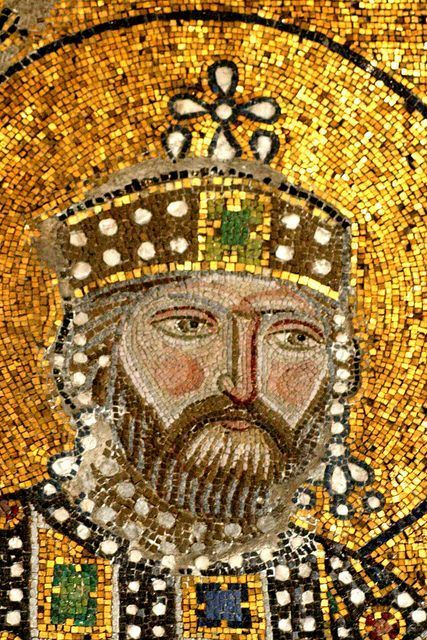 Constantine IX reigned as Byzantine emperor from June 11, 1042 to January 11, 1055. He had been chosen by the Empress Zoe as a husband and co-emperor in 1042, although he had been exiled for conspiring against her previous husband, Emperor Michael IV the Paphlagonian. They ruled together until Zoe died in 1050. In 1054 the centuries-old differences between the Greek and Roman churches led to their final separation. Constantine tried to intervene, but he fell ill and died on January 11 of the following year.